No other Auschwitz survivor has been as literarily powerful and historically influential as Primo Levi. Yet Levi was not only a victim or a witness. In the fall of 1943, at the very start of the Italian Resistance, he was a fighter, participating in the first attempts to launch guerrilla warfare against occupying Nazi forces. Those three months have been largely overlooked by Levi's biographersindeed, they went strikingly unmentioned by Levi himself. For the rest of his life he barely acknowledged that autumn in the Alps. But an obscure passage in Levi's The Periodic Table hints that his deportation to Auschwitz was linked directly to an incident from that time: "an ugly secret" that had made him give up the struggle, "extinguishing all will to resist, indeed to live. What did Levi mean by those dramatic lines? 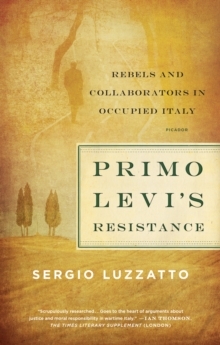 Using extensive archival research, Sergio Luzzatto's groundbreaking Primo Levi's Resistance reconstructs the events of 1943 in vivid detail. Just days before Levi was captured, Luzzatto shows, his group summarily executed two teenagers who had sought to join the partisans, deciding the boys were reckless and couldn't be trusted. The brutal episode has been shrouded in silence, but its repercussions would shape Levi's life. 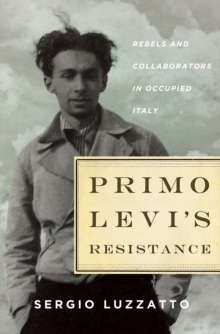 Combining investigative flair with profound empathy, Primo Levi's Resistance offers startling insight into the origins of the moral complexity that runs through the work of Primo Levi himself.